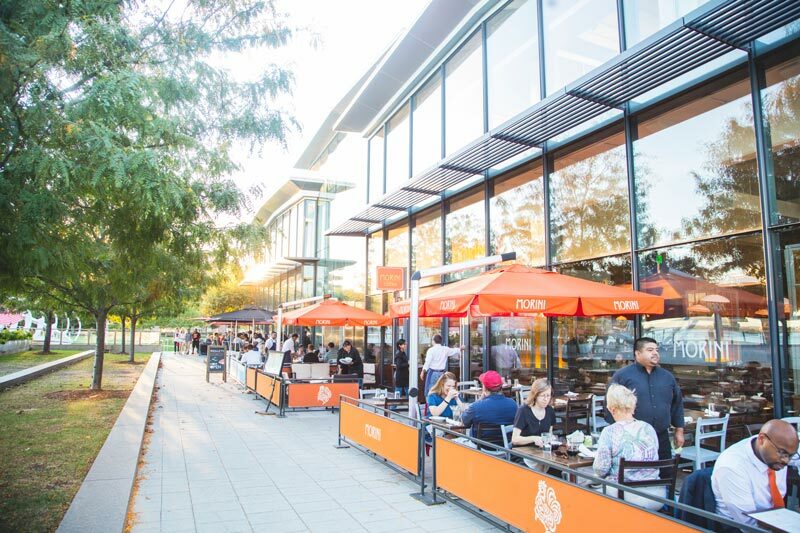 DC's Capitol Riverfront scores with pro baseball, riverside parks, cool restaurants and so much more. Nationals games are a great attraction, with stars like Max Scherzer and Juan Soto taking the field. During the fourth inning, six jumbo-headed mascots costumed as U.S. presidents zip around the field in a comical-yet-competitive foot race (yes, there’s some cheating). Nats games are a hot ticket in DC, so make sure to score your exclusive discount and save big. 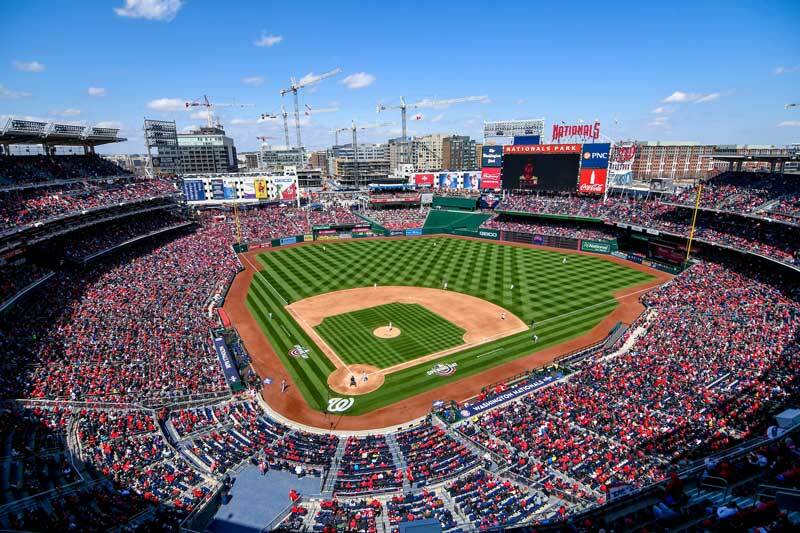 Just go to the Nationals single game tickets page, select the game you wish to attend and enter the promotional code VISITDC. Still not convinced? Here are even more reasons to catch a Nationals game. 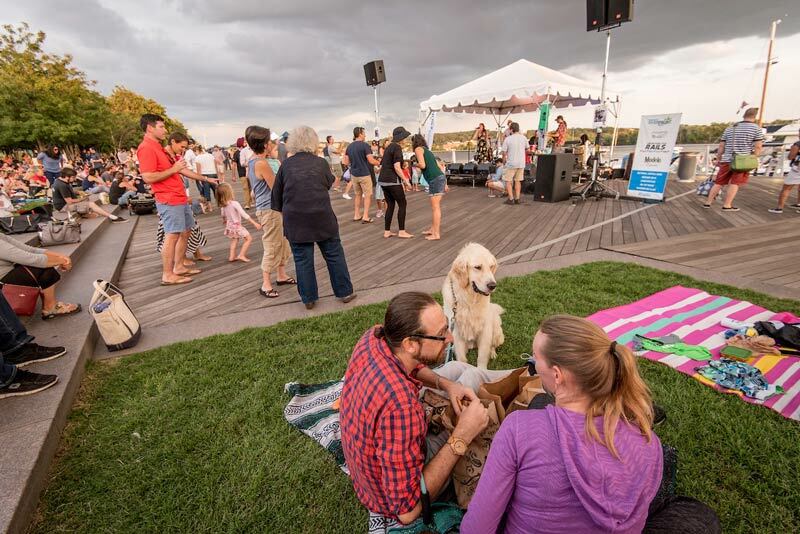 Set along nearly two miles of the beautiful Anacostia River, this Capitol Riverfront is home to plenty of waterfront activities during the warmer months. Discover endless things to do in this booming neighborhood right on the water. 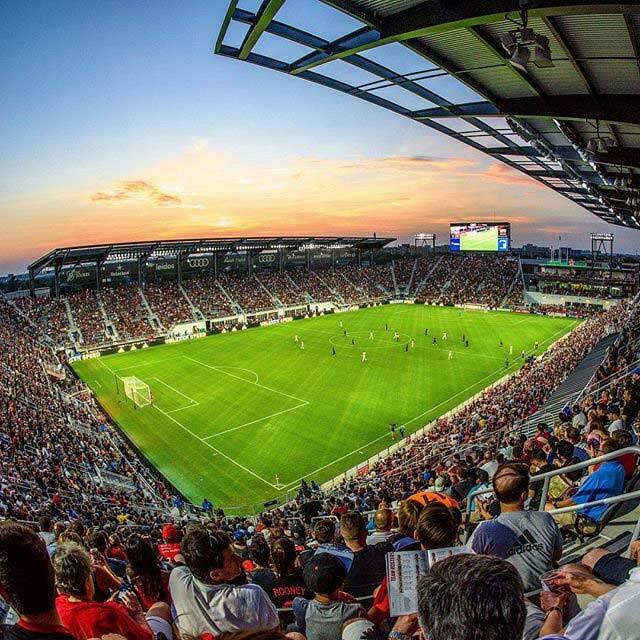 Whether you’re a life-long soccer fan or you’ve never watched a game before, you’ll love the energy, excitement and experience of seeing D.C. United play in person. From cheering on legendary footballer Wayne Rooney to having one of the best stadiums in soccer, there are lots of reasons to hop on the band wagon and get tickets today. 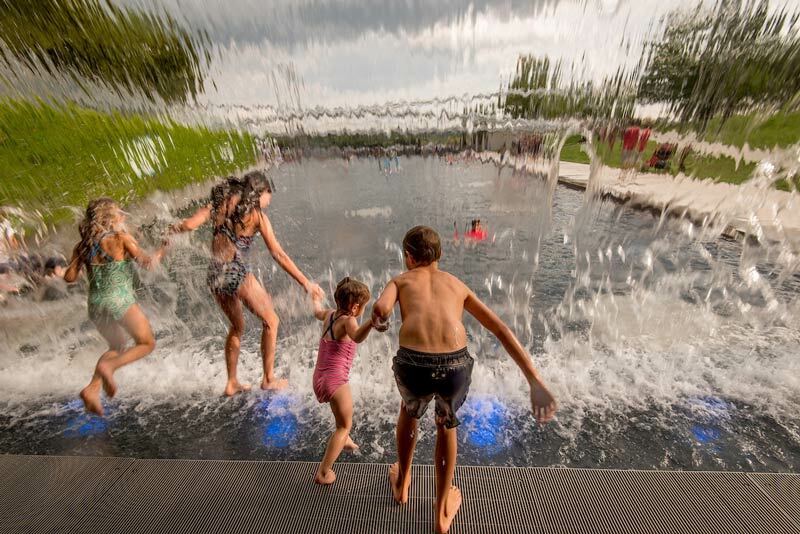 On nearly six riverfront acres between 2nd and 5th streets SE, this modern park rests beautifully alongside the Anacostia River, sporting plenty of places to relax, including an elevated overlook of the river. Kids will love the 11-inch deep “canal” and the park’s waterfall, and everyone can admire the impressive, light-adorned, ringed bridge that serves as The Yards’ centerpiece. The park also hosts a Friday night concert series throughout the summer. Glimpse the U.S. Capitol, the Navy Yard and other sites at twilight while on a 1.5-hour guided kayak tour of the Anacostia River run by Boating in DC. Tours take off during summer months from the Ballpark Boathouse. You might spot a great blue heron or even a river otter! Even if home runs and strikeouts are not on the evening’s agenda, Osteria Morini offers an unforgettable dining experience in the heart of the Capitol Riverfront. Located next to the scenic Yards Park, Osteria doles out authentic Italian cuisine typical of the Emilia-Romagna region (think rich pastas and grilled fish) and cocktails in a sophisticated setting. We recommend sitting on the patio during sunset. The17,000-square-foot District Winery is home to a sleek winery and Ana, a new American restaurant specializing in unique dishes like Maryland crab beignets, a veggie-stuffed shawarma with carrot hummus and pastrami-spiced monkfish. Tours of the glass-enclosed winery include a trip to the tasting bar, where guests can enjoy a flight of five wines. At Ana, there’s space for 50-plus diners indoors, or take your meal riverside on the adjoining patio with seating for more than 80. A number of its pours were produced specifically for DC at Brooklyn Winery, although District Winery has begun serving its first made-in-DC wine: the 2017 dry rosé. A rotating menu of 25 made-here beers (including five English cask styles, which are served at room temperature) headlines at this jumbo, industrial-cool American restaurant and brewpub. 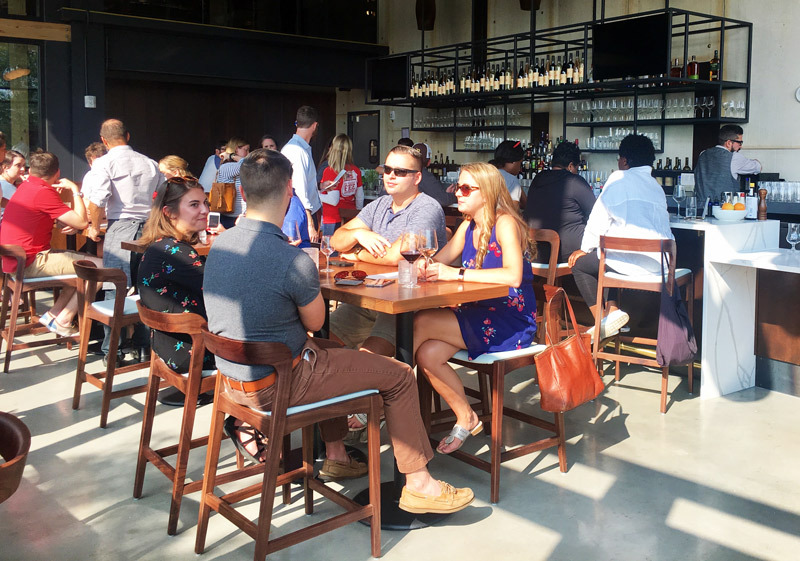 Housed in a former munitions factory-turned-neighborhood brewery, Bluejacket offers brew-tasting tours as well as distinctive takes on classic bar food at its in-house restaurant, The Arsenal. The grub is as varied as the suds – hearty entree salads, charcuterie and seafood. Swing from a trapeze 20-plus feet in the air, learn to juggle or explore the art of silks (those scarf-like suspension devices you’ve seen at Cirque du Soleil) during daily classes at this indoor-outdoor facility. 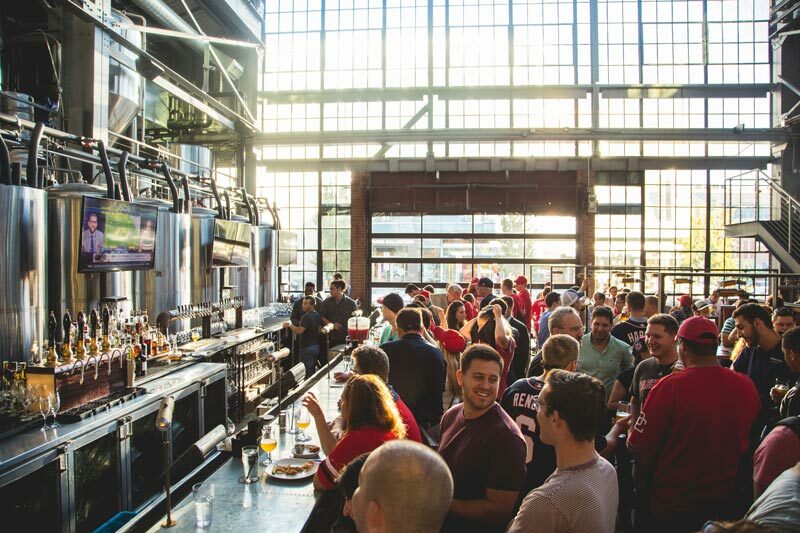 With live music, a wealth of beer and food options and a happy-go-lucky pregame crowd, The Bullpen is an ideal spot to stretch out before watching one of Major League Baseball’s most exciting teams take the field. 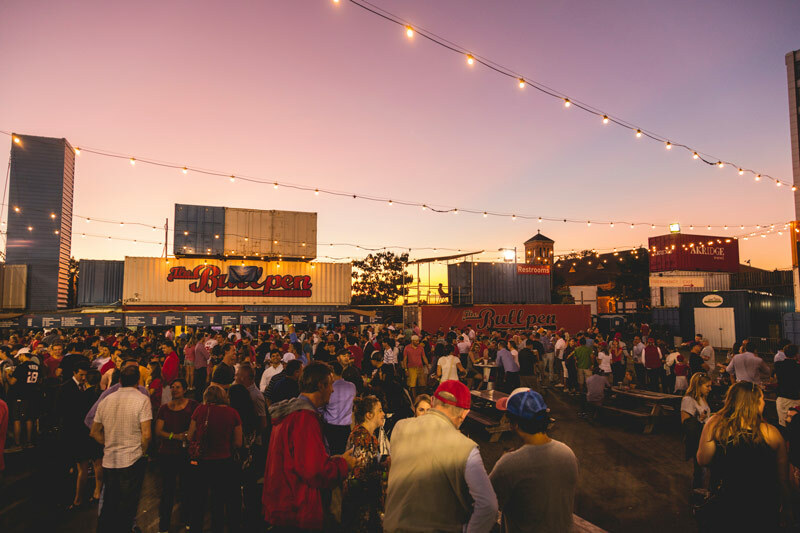 Next to Nationals Park, the fairgrounds open two hours before every Nationals home game and continue serving revelers two hours after games end. Frequent concerts up the appeal, as does Truckeroo, a monthly food truck festival held April through October. 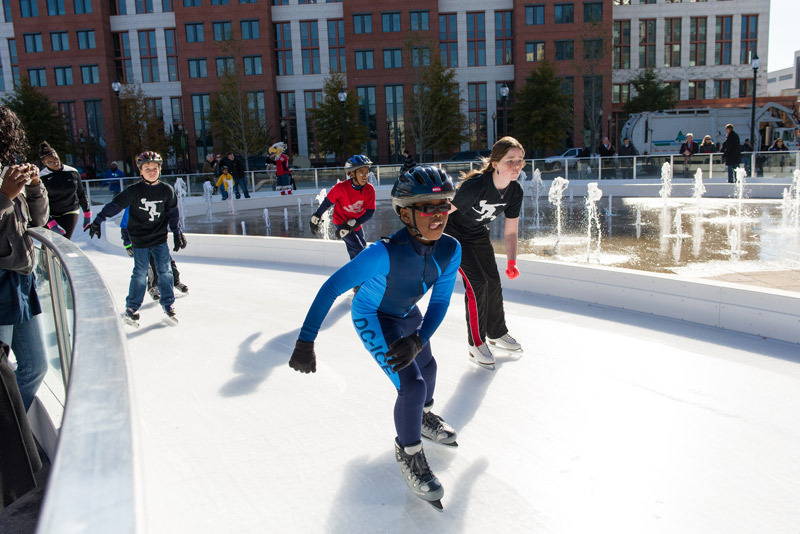 Skate rentals and a rocking soundtrack make this wintertime, racetrack-like ice rink popular with kids and locals – it's one of our favorite places to ice skate in the District. 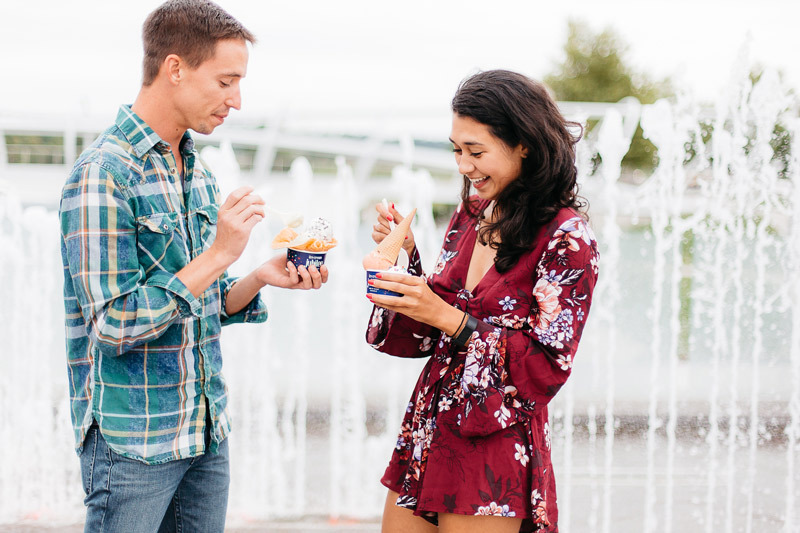 Visit this glassy, sleek parlor to try locally made ice creams in cool flavors like Thai Iced Tea or Gin and Tonic Sorbet. You can grab a sundae or cone to go, or enjoy your treats in an Adirondack chair on the small patio. With the U.S. Navy such an integral part of the Capitol Riverfront and its history, no trip is complete without a visit to the National Museum of the U.S. Navy. Housed in the Old Naval Gun Factory, this kid-friendly museum showcases artifacts dating as far back as the War of 1812, including a Civil War ship wheel, Korean War-era uniforms and the foremast fighting top of the U.S.S. Constitution.